Looking for private in-home or in-studio Classical Voice lessons? Our Alamo teachers are ready to get you started. Find your teacher today! Hi, I'm Sven and I love helping people learn to sing! I'm a singer and choral conductor with 20 years experience as a full-time performing musician. I have taught class voice and individual singing lessons at the New England Conservatory of Music and have been a Teaching Artist with San Francisco Opera for nine years. As artistic director of Lacuna Arts (SF), I conduct the 24 voice a cappella Chorale and present workshops in ear training, sight singing, and music theory for choral singers. My students have gone on to major in voice performance at the college level and to perform as soloists with local choruses. I teach classical singing technique based on a scientific knowledge of vocal anatomy and the physics of sound—and not on flashy gimmicks. If you study with me, you will learn why common expressions like "breathe from the diaphragm" are essentially meaningless (we can only breathe from the diaphragm). And you will come to understand why things like trying to "bring the sound forward" or "send the voice to the back of the room" are physically impossible (sound doesn't move like that). 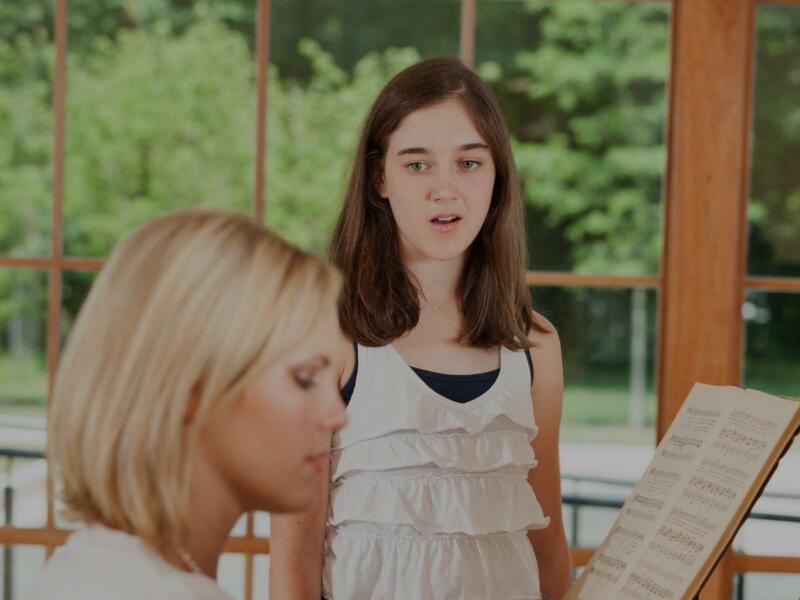 Whether you are interested in singing opera, choral music, or musical theater, you will learn a foundational classical singing technique that will allow you to make the artistic choices you want with confidence, poise, and finesse. Students must be serious about improving their singing and commit to a minimum of 60 minutes of at-home practice between lessons. I don't usually write reviews cause I am always afraid they'll sound fake (because my complements always sounds super corny), but after reading this disclaimer, please know that this is as sincere review from a very very pleased student, who decided to write this because It's is the best way to repay someone that completely went out of his normal lessons activities to help me out with my very specific requirements. I rate Sven 5 stars because aside from being a very educated (musically and socially speaking) person, he also welcomes you into his class with a mix of kindness and funny personality super willing to teach you but at the same time wanting to push you and get the best out of you. I was very impressed by how much knowledge he always has in his hands, with his wonderful credentials but mostly with how motivating it was to be learning from someone you feel knows what he is doing, and because of that, earns your respect and makes you want to work harder and make the best out of the lesson. As I mentioned before, I went to Sven with the very specific goal of preparing my portfolio to apply to my dream music school, and not only he gave me the confidence to arrange my existing material, he motivated me to create new material. Not only I completed my task but I gathered months of knowledge in a matter of 2 weeks. Very happy and thankful to have had the opportunity to study and work with him. Super recommended as a teacher, and very cool person :). Sven has a wonderful gift in being able to break down concepts and offer concrete guidance which I so appreciate as a beginner. He is very organized and has a deep knowledge and passion for his work. He is without a doubt, a top-notch instructor. I love the art of singing classically and I am trained in the bel canto style. oose more and more difficult repertoire as time goes by, trying to get us both into trouble. So far, so good!" uding music. Liesl teaches with positive energy. She models all of the vocal exercises before expecting the student to carry them out. When providing corrective feedback, Liesl acknowledges the correctness of the singers approximation, and follows up with a next step. She teaches students to use the correct body alignment and breathing techniques to sing correctly as well preserve the vocal cords. She is fun and dedicated to her craft." San Francisco, CA teacher: Liesl M.
terful instruction. I always feel like I understand a bit more every time I discuss music with him." San Francisco, CA teacher: Patrick H.
hile experience. I think she is kind of teacher who is in the talent-finding and talent-development business. She helped my daughter to come out of her shell and gain more confidence." trying out for a school audition, or just want to feel much more confident in kareoke"
San Francisco, CA teacher: Paige P.
udied classical technique, and it's made a big difference in my confidence and enjoyment of signing." "Good knowledge and good exercises! Paige has great experience and ability to connect!" of all ages and skill levels. He curates his teaching to suit each individual student and helps them grow and forge their own path into singing in a positive, affirming atmosphere. He is personable and kind, and I could not recommend him more." out the success of her students. She has a deep expertise in voice-training that she is able to clearly communicate to her students. We are fortunate to have her as our voice teacher."